Illuminated table-top resin sculpture created by Thomas Kinkade and produced by Hawthorne Village. 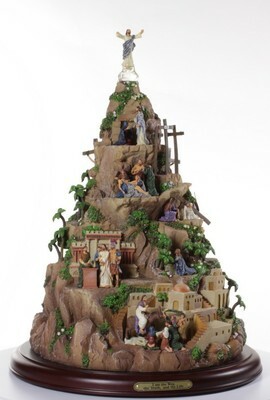 The sculpture depicts the events of Holy Week, culminating with the Resurrection, which is depicted by the figure of Jesus at the very top of the sculpture. The sculpture consists of 45 figures in 13 separate scenes.The base is made of wood and has a plaque that reads "I am the Way, the Truth, and the Life."